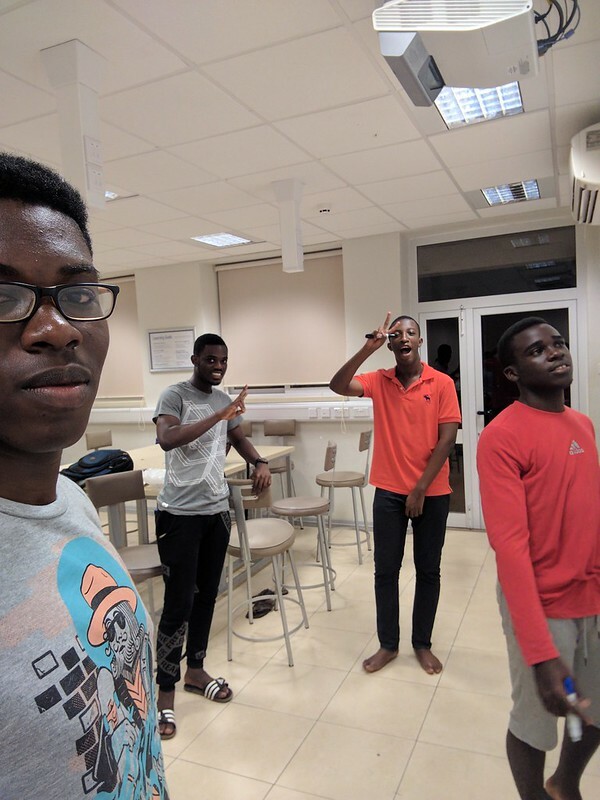 From the 20th to the 22nd of January, freshman Kevin Kwasi de Youngster led the Global Game Jam 2017 event at Ashesi. The Global Game Jam is an international event and by far the largest, where game enthusiasts come together to develop a game over a weekend. To make things more interesting, participants had to make the game based on a theme that was disclosed at the start of the event. This year’s theme was ‘waves’. The Ashesi team worked on an arcade game, Tagetti. Download and play Tagetti here. Posted in Events, Maker SessionsTagged Game, Game Development, MakingBookmark the permalink.